I could never get into Point and Click Adventure Games. I don’t really know why. It might be because I was born a bit too late to get caught up in their golden age in the 90s. However, after playing Milkmaid of the Milky Way, made by Mattis Folkestad and published by machineboy, I can now certainly see their appeal. Milkmaid of the Milky Way takes place in Norway in the 1920s. We play as Ruth, a brilliant orphaned girl who now takes care of her parents’ farm, situated at the end of a fjord, hours away from any town or city. She passes the days reading and making dairy products which she sells with the help of a friend. All this is about to change however, as a golden spaceship appears over her farm. The game is roughly split into three days or three stages, but there are no gameplay differences between them. If you have played any Point and Clicks, you are going to get the hang of this pretty quickly. Problems arise every day and we have to deal with them, usually through finding clues and items spread around the areas we can visit. The solutions to Milkmaid of the Milky Way’s puzzles are actually quite smart, especially the last gameplay day. I also loved the fact that some items were used in ways you didn’t expect (The spoon especially). While Milkmaid doesn’t introduce anything new in terms of gameplay, choosing instead to follow the tried and tested recipe of its 90s equivalents, it goes above in beyond in all the more “artistic” areas of the game. For examples, my absolute favourite thing of the entire game is its dialogues. Every single piece of interaction between Ruth and other characters and items is written in rhyme. While there have been novelty characters in other games who do this, this was the first time I’ve seen a whole game written like that, which becomes even more amazing if you consider that one guy wrote the entire thing. What’s more, the rhymes are actually pretty good. It is really obvious that a lot of passion and effort has been put into the game. That passion is even more evident when one looks at the game’s graphics and sound. The game has this beautiful pixely art style that suits it perfectly. The colours are vibrant and complement each other nicely. Everything about the colours close to the farm scream rustic and everything inside the spaceship screams futuristic. Even better, the animations are amazing for a game based on pixel art. The animations are fluid and characters actually emote clearly through them. In terms of music, the game also knocks it out of the park. There are a variety of tracks which change between areas and days, all of which suit the time and place of the game really well. What also deserves praise is the choice of setting for the game and how it is utilised. Any setting before telephones and the like became widely used would have suited the game but since the creator is Norwegian, we ended up in Norway. The place doesn’t matter as much as how the game portrayes technology. There are no huge talks about automation or industry or anything as philosophical as that, but there are some great hints and small conversation about how the times are changing. For example, Ruth can no longer sell the butter she makes because people buy margarine now. These things don’t really move the game forward, but they are what immersed me in the world and actually made it interesting. To put this in a wider scope, every character you will talk to has a bunch of things to say, not only regarding your tasks but their life and occupation. This is what makes the game feel alive and not just a shell to do things in. The only problem I had with the game was that it wouldn’t open in fullscreen. I don’t really know why to be honest, this is the first time this has happened. I even went into steam properties to force it to open only in fullscreen but it still didn’t. Still, this is honestly a very, very minor problem in contrast with how good the game is. According to the creator himself, Milkmaid of the Milky Way will take you 2-3 hours to complete. This might seem like too little, but the game packs as much story and character in these hours as many games do in triple the time. I haven’t gotten this immersed in a game in a very long time. 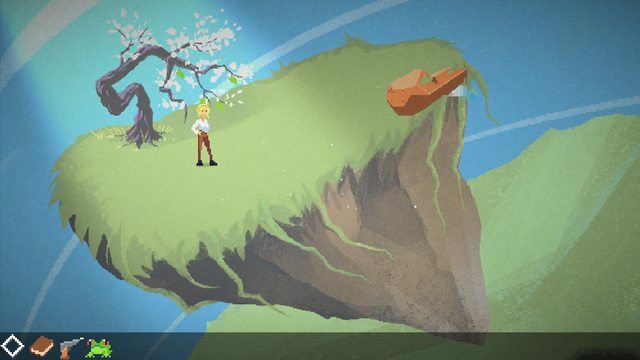 If you are even marginally interested in Point and Click games, you should look into Milkmaid. Honestly, look into Milkmaid even if you have never played such a game. It’s a great starting point. You can get Milkmaid of the Milky Way for 6 euro on Steam. 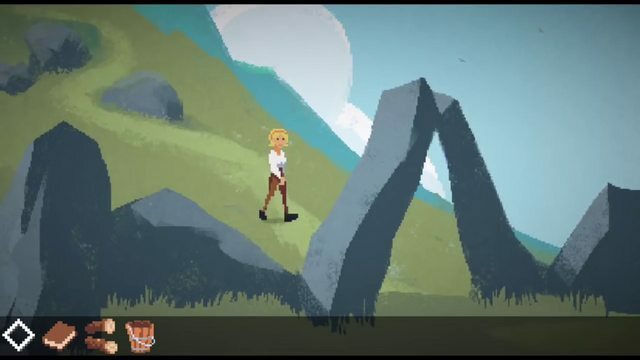 Milkmaid of the Milky Way is a lovingly constructed Point and Click Adventure game written entirely in rhyme. It has a huge amount of heart and sould and it shows in its art and sound. While it doesn’t take that long to complete, it is the type of game that will stay with you for a long time. + The graphics and sound. + Every dialogue is a rhyme.